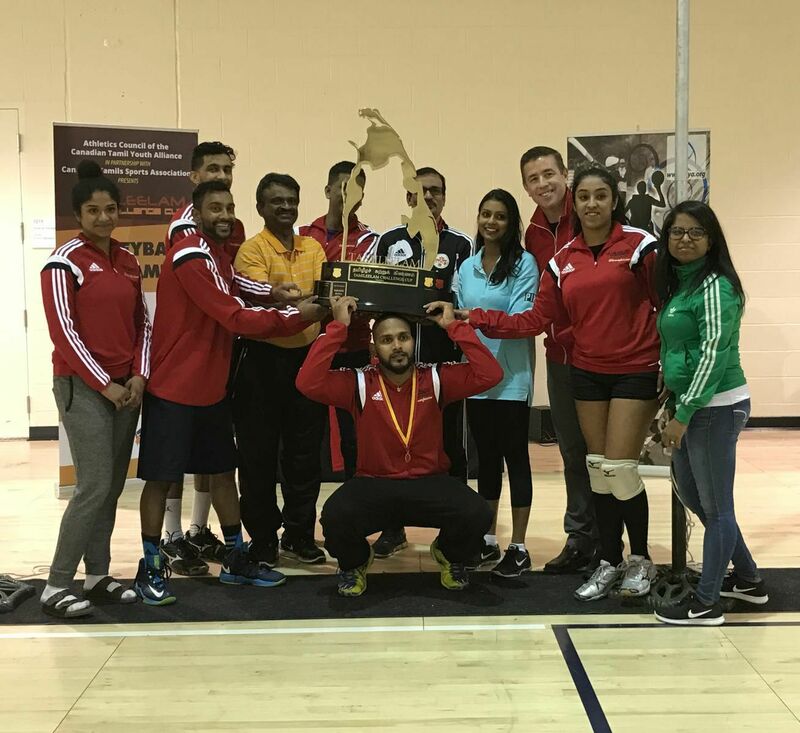 Canadian Tamil Youth Alliance’s Athletic Committee (CTYA) successfully held its fourth annual Tamileelam Challenge Cup Volleyball Tournament in partnership with Canadian Tamil Sports Association. 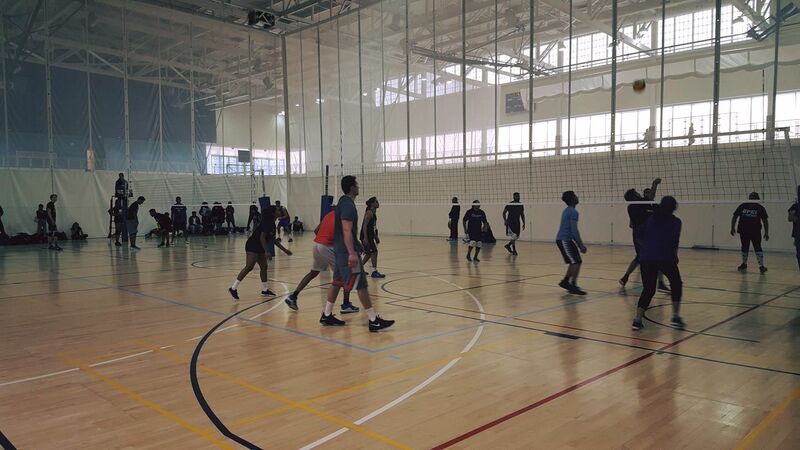 This Challenge Cup Volleyball Tournament took place Sunday, March 19, 2017 at the Toronto Pan Am Centre. CTYA would like to congratulate and recognize all the participating teams. 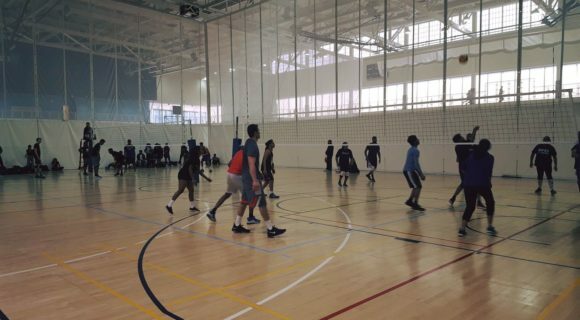 All 16 teams played with great team spirit and sportsmanship and made the 4th Annual Tamileelam Challenge Cup Volleyball tournament an event to remember. This year’s finals showcased a great match between High Flyers and Machines. After an extremely tight game, the High Flyers prevailed as the winners. The special guest at this years TECC Volleyball tournament was three-time Olympian, Mark Heese. Mark Heese is a renowned Volleyball player in Canada who won a Bronze Medal in the 1996 Olympics and is also a ten-time Canadian National Champion. Awards for best players were presented; each one being representative of Tamil Eelam’s National symbols: Vaahai being the national Tree; Siruththai being the national animal; Karthigai poo being the national flower and Chenbagam being the national bird. The Most Valuable Player award was awarded to Thayaparan Somasundaram from High Flyers. The Vaahai award was presented to the best setter of the tournament, Hellinic DePaul from High Flyers. The Chenbagam award was presented to the best defense of the tournament, Gopal Narasimhaiah from High Flyers. The Karthigai poo award was presented to the player with the best sportsmanship which was Ramanan Santhiralingam from Machinez. Finally the Siruthai award was presented to Nigel Baldeo from High Flyers, for being the best striker of the series. 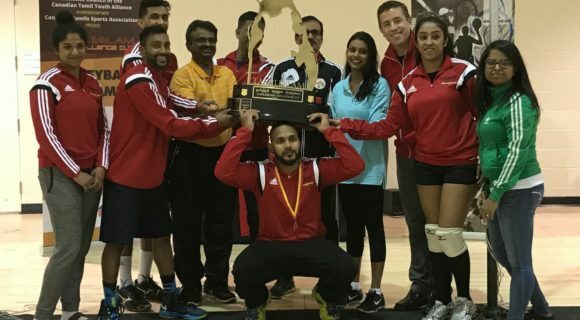 The Athletics Council of CTYA seeks to provide Canadian Tamil youth with an avenue to develop their leadership skills through athletics and recreational programs. The aim of this council is to educate through athletics, promote outstanding sportsmanship and build team spirit. This entry was posted on Tuesday, March 21st, 2017 at 10:02 am	and is filed under Athletics/Sports, News. You can follow any responses to this entry through the RSS 2.0 feed. You can leave a response, or trackback from your own site.